I hear a lot that I’m good with gifts and gift ideas in general… okay well at least when I put a thought into the gift and don’t opt for classical ones… but what people keep asking me is “how” I became “that good” and how I can pond the perfect gift idea for a person I know nothing or minimal information about. We often hear that a gift is all about the thought, never about the value. But when it comes to actual purchases, tables turn and we often opt for a high-end “whatever” gift because people tend to appreciate things with high values. But what we often forget is that the value is never linked to a price and sometimes a US$ 50 gift can mean more than a US$ 500 one! Trust me people, set a budget (w mish 3al libnéné…. bein 50 w 300 dollar!). Do you want to impress with your thought of the gift or buy something needful for the person you are gifting? If you aim to impress, aim for something personal (check number 4 below). If you aim for it to be needful, do a research (check number 3 below). Everyone needs something; in fact, we all have that list of things to get divided into two categories, the “urgent things” that usually contains the necessities, and the “non-urgent things” that contains important things to have and less important things we want. And we all wait for our salaries to be issued or the budget to allow us to hit the market and mark stuff off that list. So no matter what your budget is, get to know the person you are gifting and remember anyone would appreciate receiving what he already wants… even if it was a simple pair of socks! Those gifts are my personal favorite especially for big occasions such as baby-showers, birth, anniversaries, bridal-showers, weddings, engagements and why not birthdays (especially if the person belongs to the people described in number 5 below!) A thoughtful gift in my opinion is often something personalized or related to a certain activity or hobby the receiver is interested in. the list of alternatives is long and depends on the person gifting, the receiver, the budget and the time limit to finalize the gift. It can also be something a person need but cannot financially afford. But again, if it comes to me, I would rather have something useful and personalized than an ipad I can live without anyway! 5. How to gift someone who already owns everything? Someone once told me: a person who has everything does not have two of everything. Adding to it my personal conviction that a personalized gift is worth a million even when it does not cost a thousand… I believe there is always something a person who has and can afford everything would be needing or interested in receiving. Don’t have a specific idea? Get emotional, touch the soul. A person who can afford and has everything is most probably someone who would appreciate the thought not the materialistic value. Make him smile when opening that box and tadaaaaa! you’re on the right track! 6. 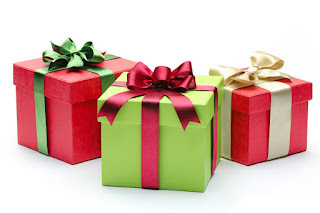 What to gift girls when you’re confused? Jewelry. When you’re too confused never opt for perfumes, cloths or accessories. Buy valuable jewelry or gold. PS: Diamonds are not a must (unlike people think!). Stick to your budget and keep in mind a US$ 50 pair of golden earrings is worth more, in a girl’s eyes, that a US$ 60 handbag. Why? Because girls are weird! PS: my birthday is in February, re-read the article before buying me a gift please!